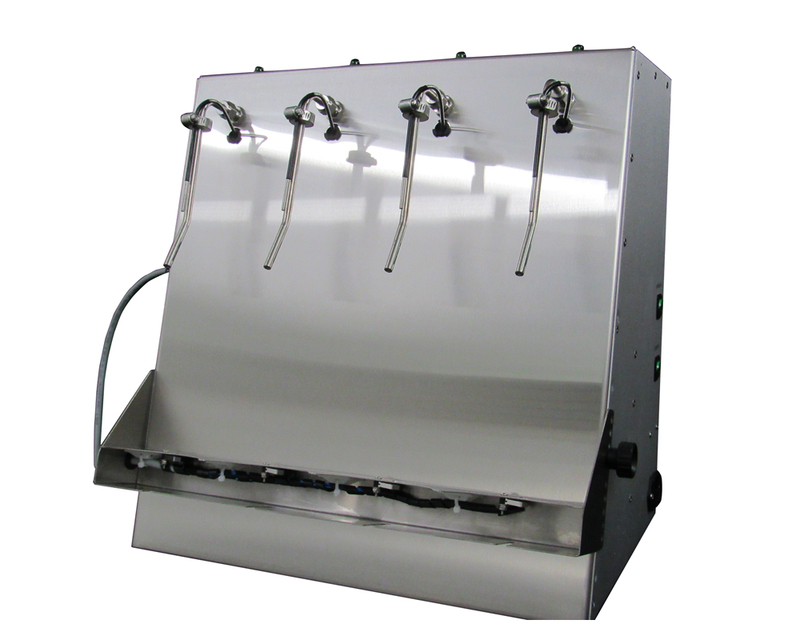 XpressFill Affordable Bottle Filler for Wine, Beer, Spirits and More! Now offering carbonated beverage fillers for bottles and cans! You can now affordably counter pressure fill both bottles (XF2500 / XF4500) and cans (XF4500C) from your keg or brite tank. Filling under pressure maximizes the retention of CO2 during the fill process. Even crowlers can be counter pressure filled with the XF4500C. 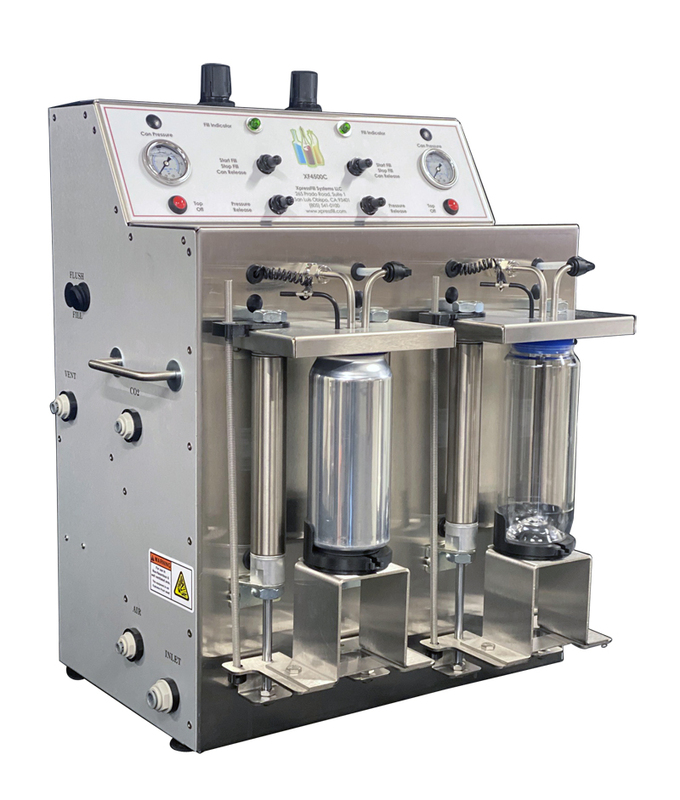 Need a more efficient can filler for your carbonated beverage, the open filler (XF4400 / XF2200) for cans is based on our level fill unit with a gas purge cycle and automatic level sensor for minimum beverage waste. Contact us for more information. The volumetric filler provides an adjustable shelf and offers the most flexibility when filling a broad range of bottle sizes. The variations in bottle fill volumes are within a consistent range in order to comply with the regulations set by the TTB (Alcohol and Tobacco Tax and Trade Bureau) which makes this filler perfect for industries who must comply. Volumes are controlled by use of the digital timer. Times will vary according to the viscosity of the product. The digital timer is precise and adjustable down to .01 seconds, and the time is stored in the memory until changed by the user. The level filler is designed with a sensor probe that shuts off the fill at the desired height. Simply adjust the shelf to the desired height, then place the bottle on the shelf, to set the fill level wanted. The fill will shut off when the sensor detects the liquid hitting the correct level in the bottle. Perfect for use with hand-blown and other specialty bottles that have slight variations in bottle wall thicknesses, punt size, diameter of the bottle, and neck height, among other inconsistencies. They are most popular in industries requiring bottles to be filled to consistent levels even when volumes may vary more than 3%. XpressFill Bottle Fillers are handcrafted and custom-made to order in the USA, from high quality food grade components. 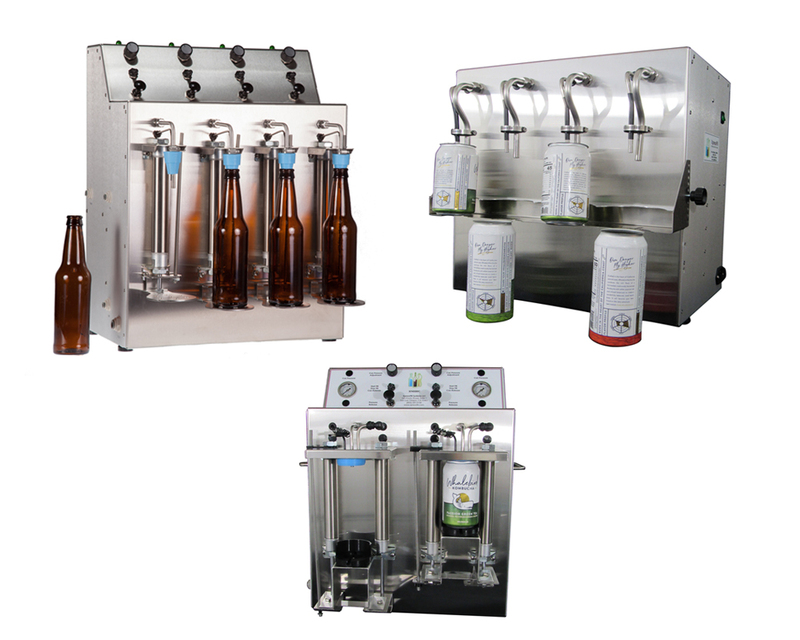 We offer four types of fillers: Volumetric Filler, Level Filler, Carbonated Beverage Counter Pressure Bottle Filler and a Hot Fill Bottling Filler. With seven models to choose from, there is an XpressFill bottle filler that will fit your needs. 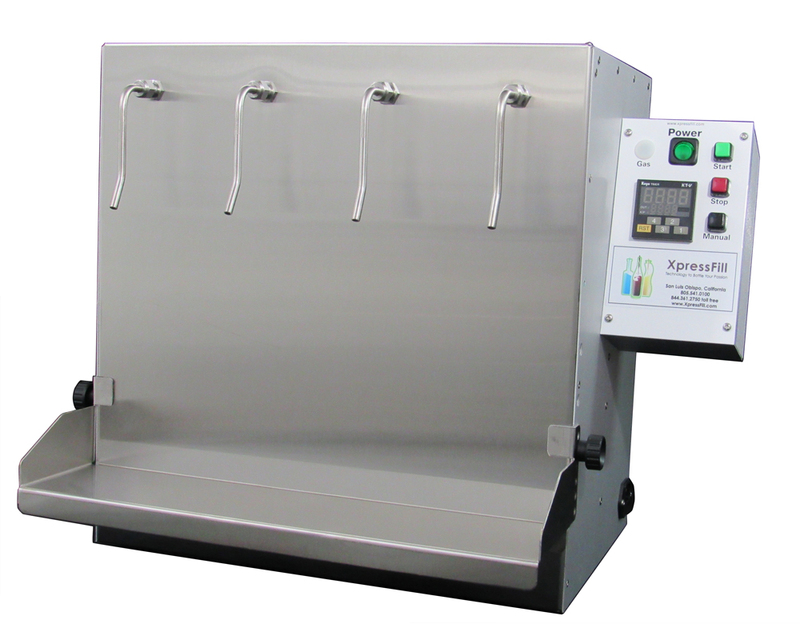 XpressFill bottle fillers are custom built, compact, and easy to use. They are ideal for the small-to-medium production artisan craft person; perfect for beverages, beauty products, health supplements, oils, condiments, lubricants, and cleaners. Each bottle filler is built to order in our factory. Lead times vary, ranging from one to six weeks. International shipping is available on all models. Check out our featured customers. If you get the opportunity to visit and enjoy some of the craft that XpressFill Bottle Fillers are a part of, let us know. Sign up for the XpressFill newsletter! We will share how our bottle fillers are being used and notify you of improvements and advances in bottle filling technology. And we will share all specials and promotional offers.